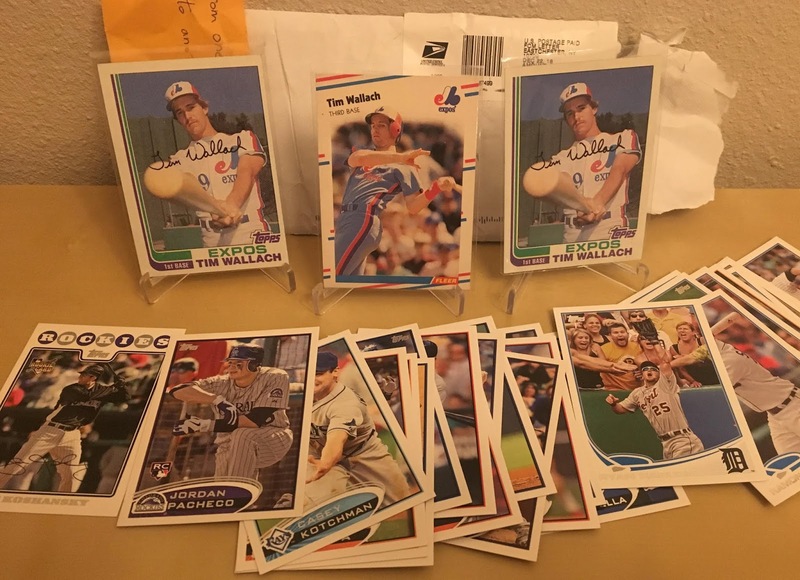 These cards were sent by "Zippy," the Luis Torren super collector of the blog "Torren up Cards." Thank you for the cards Zippy. As you can see, Zippy also went ahead and took care of some of my recent Topps set build needs. I remember that Ryan Rayburn being one of the first 2013 cards I saw, and remember being annoyed that I never pulled one, and then at some point I stopped remembering it at all, until it showed up in this envelope. Also included was a 2012 Jordan Pacheco. Pacheco for many years carried the torch of being the best (and I believe only) New Mexico kid in the majors. New Mexico isn't a huge State population wise, so like everyone else around here I felt like I had some ties to the kid. One he was a regular at my favorite restaurant in Scottsdale that was next to my place down there (about mile from the Rockies Spring Training facility) and he grew up in the same culdesac in Albuquerque as one of the lawyers I work with. That said I've never spoken a word to the kid, I've just rooted from afar (or occasionally from across the bar of the now defunct "The Cove" at Indian Bend and Scottsdale Road). The New Mexico torch has now been passed to a kid named Alex Bregman, maybe you've heard of him. There's also another guy carrying the State's yellow flag in the majors, Blake Swihart. He was off my radar, until a few ago. While sitting at the grill at the ski area near Farmington, Purgatory (70 miles from my garage to the lift), a couple of kids came up and hit the guys sitting next to me up for autographs. One was Swihart, the other was some other Red Sock whose name has since escaped me. I bit my tongue and kicked myself for leaving my Yankee cap in my car. I tend to leave guys alone as much as I can. I'll just be keeping an eye out for his cards going forward. These cards, I believe, represent the last of my 2018 mailings I was behind on. So I'll be attempting to get my "year in review" stuff up soon. I don't feel too bad as it's still January and I'll still hear the occasional "happy new year" in the course of my days. Thanks for the cards Zippy. Glad the cards got to you safely. From one super-player collector to another. I'll also try to add more Pachecos in the next one.